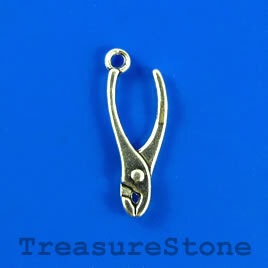 Bead frame, antiqued silver-finished, 19mm. Pkg of 2. 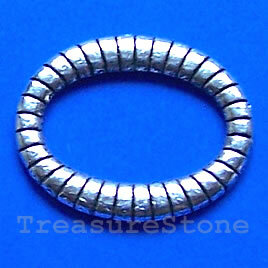 Bead, silver-finished, large hole, 19x10mm tube. Pkg of 2. 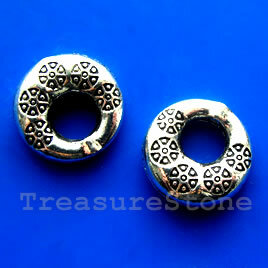 Bead, silver-finished, 19x23mm oval circle. Pkg of 15. 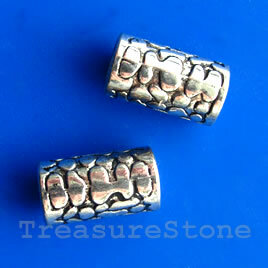 Charm/pendant, silver-plated, 9x21mm plies. Pkg of 8.